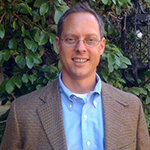 Q:Could you provide a brief introduction to SimpleSENCE™? A: The SimpleSENCE™ Water Leak Detector is the first line of defense for in-home leak and freeze protection, using advanced technology to provide 24/7 monitoring and alert notification to the user’s alert list, anywhere in the world. Our standalone, self-contained SimpleSENCE operates via Wi-Fi, connecting directly to a router without requiring a smart-home hub or additional equipment (not to mention no subscription costs). The small yet ergonomic design of the SimpleSENCE detector allows for optimal placement in any leak-prone area, even in the tightest spots. 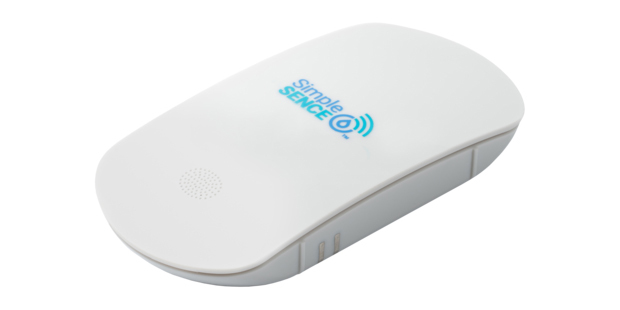 SimpleSENCE is the newest product from Sencentric, Inc., a leading innovator in the design and development of environmental sensing technology within the logistics and cold chain industries. The company is based in Oceanside, CA. Q:How does SimpleSENCE work – specifically, how does it detect a leak and how does it notify the homeowner. A: The SimpleSENCE leak detection system is made up of individual wireless sensors that work in harmony with the SimpleSENCE app and notifies the homeowner of leak activity that comes in contact with any of the sensors. When a sensor detects water, it sends a wireless signal to the cloud, which then immediately notifies the homeowner of a leak event on their smart device via email or SMS notification from the SimpleSENCE. It will also sound an audible alarm, so if someone is at home but does not have their smartphone handy, they will still know there’s a problem somewhere in the house. Q: Why is it important to detect water leaks in time? A: Water leaks, left undetected, can be devastating — structurally, financially, and emotionally. Walls and floors destroyed. Furniture ruined. Lives disrupted. The toll it takes not only on the home but on the inhabitants is often incalculable. Then there are the costs. Most people’s homeowner’s insurance policy should cover any sudden and unexpected water damage due to a plumbing malfunction or broken pipe. However, most home insurance policies exclude damage to a home that occurred gradually, such as a slow, constant leak under the sink that could have been spotted earlier. Also, some damage, such as mold, may be excluded from a standard insurance policy, depending on the cause. Then there’s cost of temporary lodging, if needed. It is likely covered by insurance but, depending on your policy, may be capped at a certain limit. All in all, letting a water leak fester over time can be life-shattering in a number of ways. Q:How much potential damage can an undetected leak cause? Q:Your product is Wi-Fi based. What is the advantage of this platform? A: Wi-Fi means no additional equipment – no hub or home control system of any kind. It works off your home’s router, the same one that supplies your internet connection. What’s more, hacking into a Wi-Fi connected device – in particular, the SimpleSENCE – is extremely difficult, unlike networked systems with multiple devices hooked to a hub which can be hacked more easily. SimpleSENCE actually connects to the internet via Wi-Fi for 1-2 seconds every 25 hours or so. A hacker would need to have access to the device at the precise time it connects via WiFi. Thus, even with knowledge, opportunity is extremely limited. Q:How does your product detect freeze conditions? A: SimpleSENCE’s built-in temperature sensor has a sensing range of -40◦F to 302◦F and will trigger a low temperature alarm at 34° F. The low temperature alarm will subsequently be relayed through the app to the homeowner’s phone, indicating that freeze conditions are possible. Q: There are a number of water leak detectors on the market. What makes you stand out from your competition with similar products? A: SimpleSENCE enjoys a number of advantages over competitive products. First, it is a standalone, point-to-point solution. There are many people who don’t necessarily want an entire smart home ecosystem, with multiple connected products all hooked to a central hub. They just want a simple device that can solve one specific problem; for those people, SimpleSENCE is the perfect solution. In addition, our product is simple to set up and operate; has extremely long battery life; has a sleek, compact design that allows users to place it into the tightest, leak-prone areas; carries no subscription costs; and offers customized notifications – email, text or both. A: We will continue to carry out the Sencentric mission by developing easy-to-use, reliable sensing, safety and security devices that protect business and consumers from unforeseen perils. Our roadmap contains a number of new and exciting offerings. Keep a look out for our new products!